All Categories - Academics. Technology. Faith. April is National Poetry Month: how are you taking time in the classroom this month to celebrate? Livia Ramos, dedicated member of the CSO team, has compiled the following resources to help teachers embrace the spirit of this great educational celebration. Check this link that collects a wide range of ideas for multiple different grade levels from NCTE. Check this link for resources that are great for young readers as well as good explainers for teachers about the importance of poetry in the classroom. Check this link for interviews with poets and recommendations on poetry books to use in the classroom. And finally, check this link for information from the NEA about how best to adapt classroom activities to embrace poetry in Grades K-5. Since the release of Pope Francis's encyclical Laudato Si in 2015, many schools and classrooms have started to work together to think about what it would look like to integrate his themes on caring for our environment in the classroom. With the spring beginning, I thought I'd post these resources for student challenges, classroom lesson plans, and other stories that have involved the use of Laudato Si in schools. If your school does specific work related to this encyclical, we'd love to hear it! Send me an e-mail at miller_a@rcab.org! What does it take to provide an equitable, just, and moral education to all of our children? One of the ways we can do so as educators is to work toward closing the opportunity gaps present for our students. In this recent article in Phi Delta Kappan, several high schools that have had success with closing opportunity gaps. What are they doing? Two somewhat straightforward things: "broadening and enriching learning opportunities (in particular, enrolling all students in challenging courses) and creating and maintaining a healthy school culture (including the use of discipline approaches that resist the trend of pushing students out of school)." These are things we want all of our Catholic schools to be doing, not just because it will make our schools high quality but because it is the morally right thing to do for our students, our children, our communities. 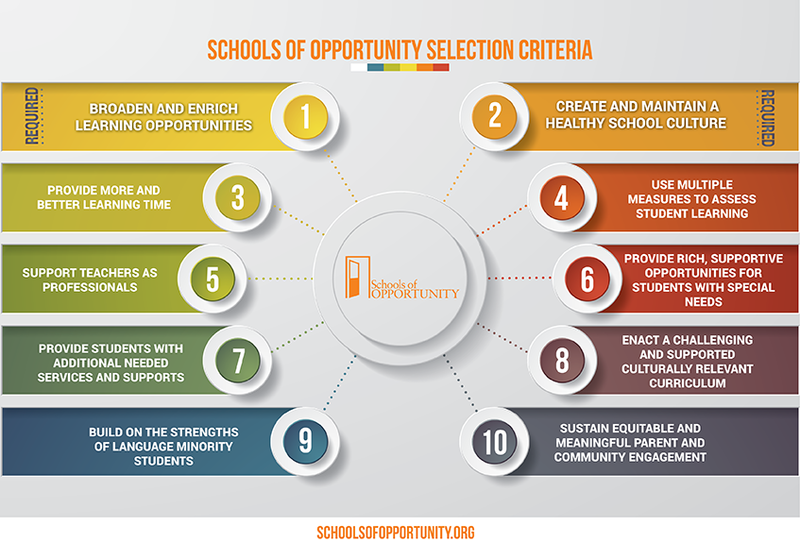 Check out the Schools of Opportunity site described in the article for more information on successful schools engaged in these practices.